If you’ve got a large wall space that you want to fill with something interesting but don’t want to break the bank, we’ve rounded up 11 of our favourite solutions to show you just what’s possible. Some are extra thrifty, some involve a bit of DIY, some will only cost you a minimal amount of cash, but all of them are fabulous. 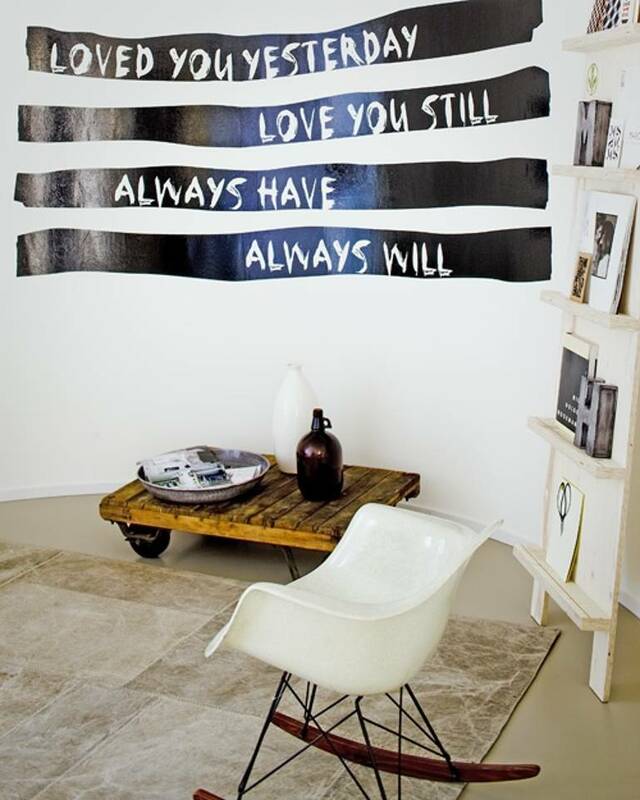 Wall decal vinyl stickers are great for transforming a wall without having to get the paint out, which makes them great if you’re in a rental property in particular as they leave minimal marks on the walls when it comes to removing them. 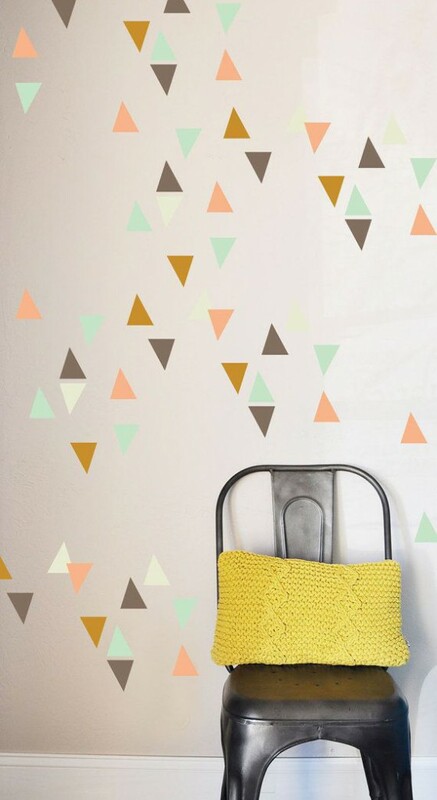 These confetti triangles are our favourite find as they’re so simple and elegant yet will easily fill a wall with style. Making your own blackboard is a growing trend at the moment on the craft-y scene, and we think it makes the perfect wall decoration as you can update and change it as much as you like! 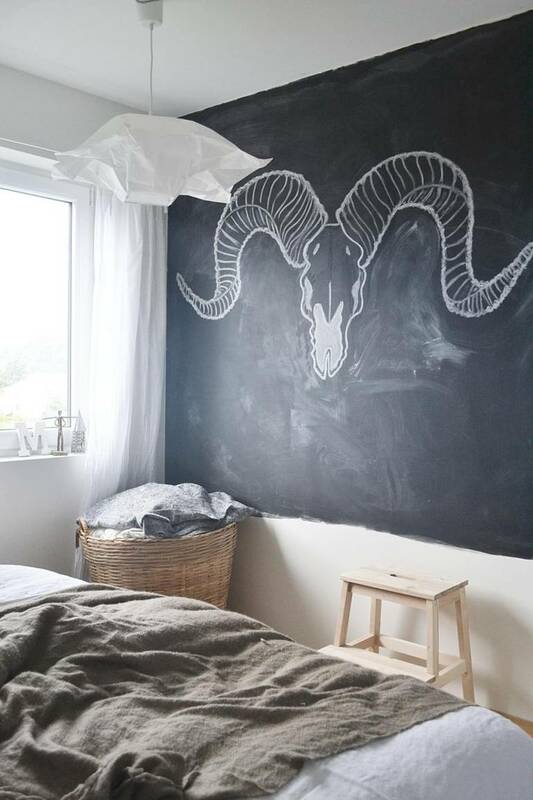 It’s surprisingly easy to make your own blackboard wall, too. 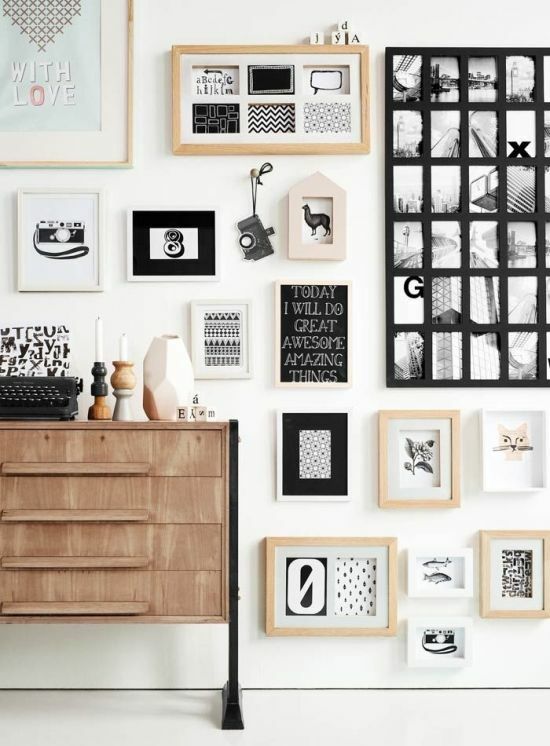 Layering a collection of your favourite pictures and prints is a great way to fill a space and display your personality and creativity. Keep your eyes peeled at thrift stores and online discount stores for cheap frames, and use a mix match of different sizes, colours and textures to add more interest to the space. 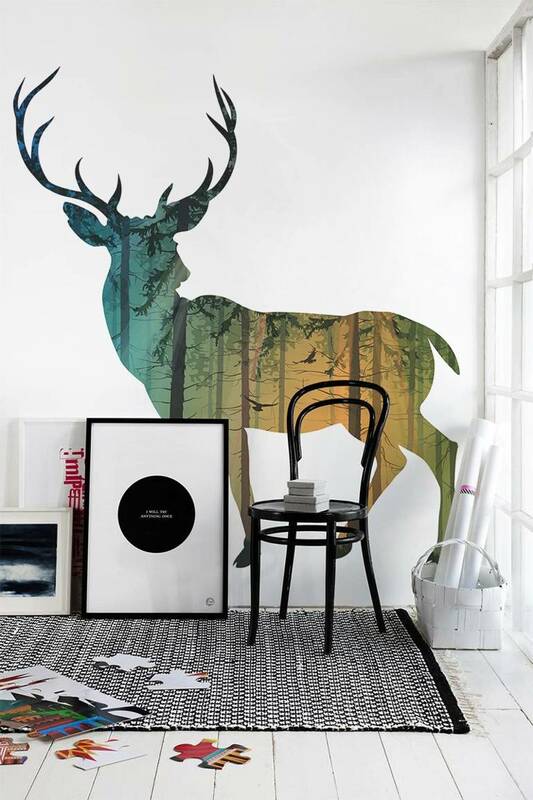 When looking at full-wall murals this deer mural caught our eye straight away. We love how striking it is and feel it could work beautifully in a Scandi-cool interior space. You can buy large murals like this online fairly cheaply (they’re usually much cheaper than buying a full room’s worth of wallpaper, for example) or if you’re particularly arty, you could even draw your own! Head to your local DIY store and take advantage of the freebies they provide when it comes to choosing a colour for your room and make a montage of all of the different colours for this beautifully edgy yet pretty design. If you’re not feeling as brave as the designer above, you could always stick to one or two colours to keep it a bit more minimal. 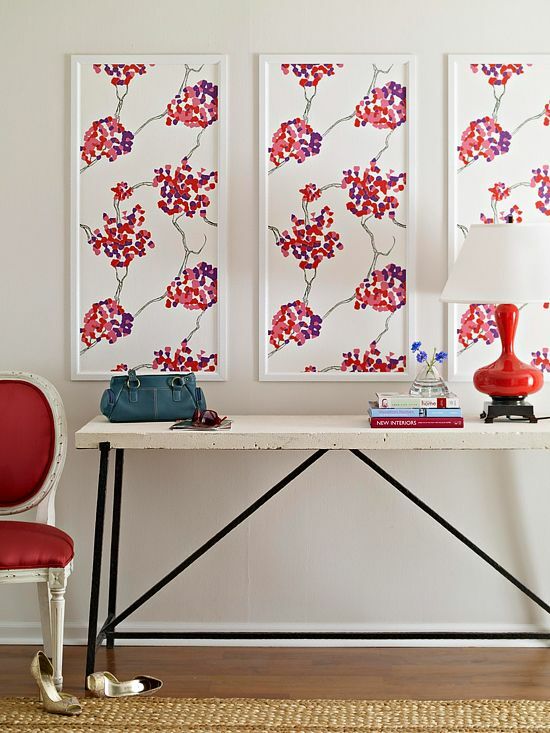 Likewise, why not frame pretty wallpaper samples and hang them on your wall if you don’t quite want to make the commitment of actually putting up wallpaper? It’s another great solution if you’re renting your home, and you can remove/change them easily as your tastes change, too. This is a great option for displaying your favourite things as it allows you to change them regularly, which is also great as you can use them as a memo board to help you remember things too. Therefore we love this option for use in home office spaces in particular. Another added bonus is that they’re really cheap to get hold of and you only need one nail for each one. Washi tape is a crafter’s dream as it’s such a versatile material that you can do loads with, and it’s also really cheap to buy. 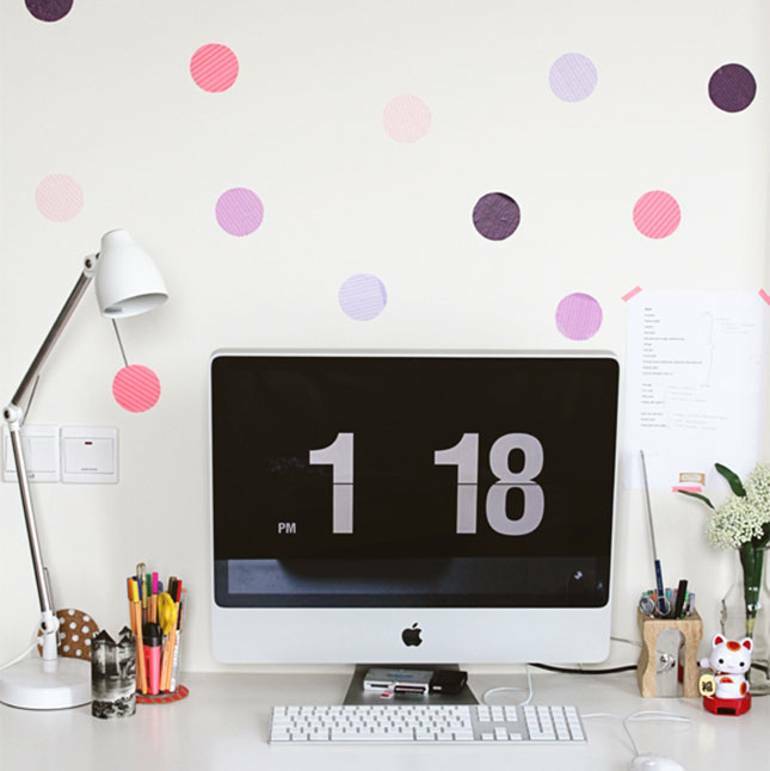 We love how this designer has used layers of it to create dots to then position onto the wall in a carefree, random pattern. You could experiment with different shapes and sizes. Finding a quote to install on your wall that is personal to your family or household is a lovely way to add a personal element to your home. Again, if you’re feeling creative and brave, paint it straight on like this person has, or you could find vinyl stickers that have done it for you. 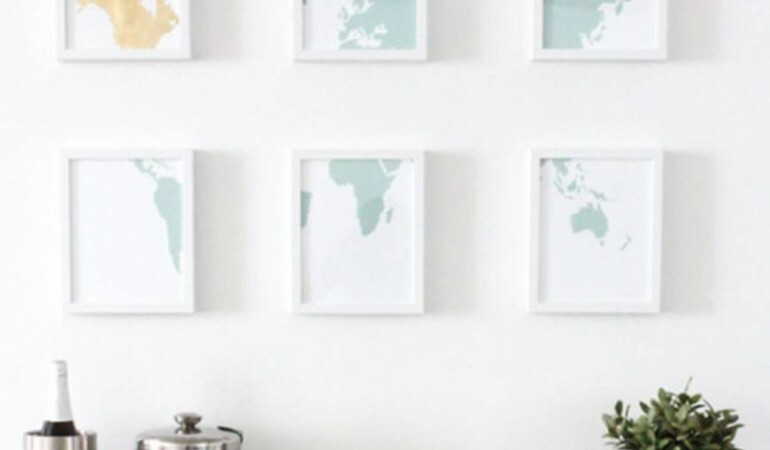 You can pick up large maps surprisingly cheaply online or at thrift stores, and then all they need is a frame or a mount to look like a truly beautiful piece of artwork. 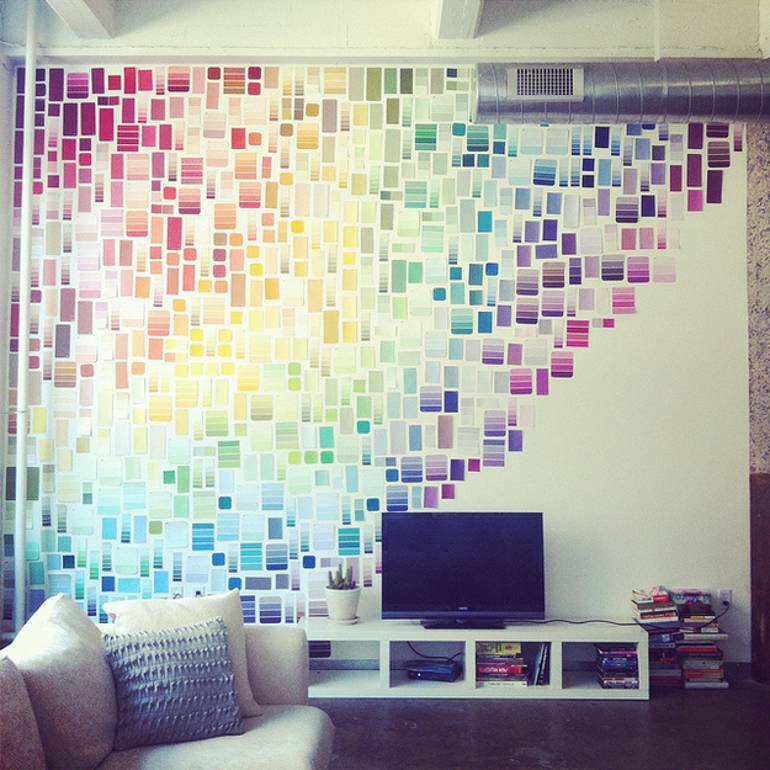 We love the example above, but you could even experiment by editing the colours of the map, cutting it up and framing each piece so it’s like a mosaic or you could mount specific parts of it so they stand out more than others. 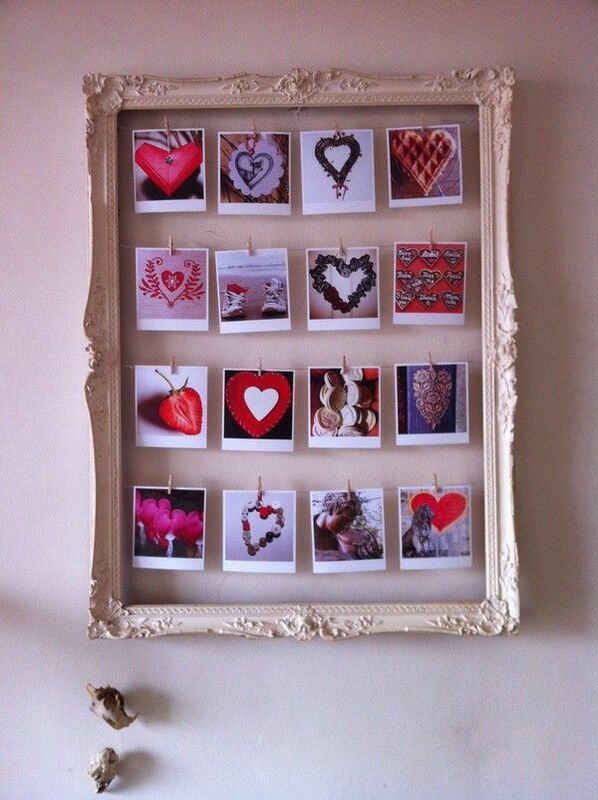 If you’re an Instagram addict like the rest of us, print out your favourite snaps and string them up on the wall. This person has even used a frame which we think looks fab. You could also use Polaroids which would look really great. Using pegs means you can chop and change them as much as you like, too.